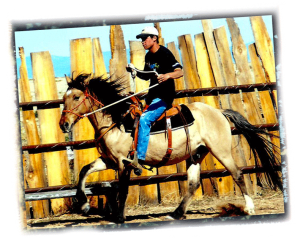 The foundation is named for and based upon the experience of a young man named Ben, whose struggles with bipolar disorder were suspended and his life greatly enriched and extended by his 18-month adventure on a mustang ranch in Wyoming during his late teen years. The positive impact that experience had on Ben is the foundation for and inspiration behind this program. When Ben was about 14, he began to display symptoms of serious emotional problems. Not long afterward, he was diagnosed with bipolar disorder. By the time he entered our large area high school as a freshman, he was in a complete crisis. He couldn’t get out of bed, couldn’t handle school work, was at war with his parents and siblings and was becoming violent, angry and resentful. By this point we knew, as most attentive parents of young people with mental health problems soon discover, that juvenile mental health problems are often poorly understood and served by the medical, community health and educational communities. The medical services, counseling, medications and special education services available to young people with these challenges can be a poor match for these cases. A smaller, private school helped for a while. But, by the middle of what would have been Ben’s junior year of high school, he was floundering again, and nothing seemed to help. Getting him up, to school and to perform was becoming impossible, and the whole extended family was being destroyed along with our son. Jobs were being placed at risk. Marriages were being harmed, as were siblings. What were our options? Institutionalization is scary, far away for most, and prohibitively expensive. 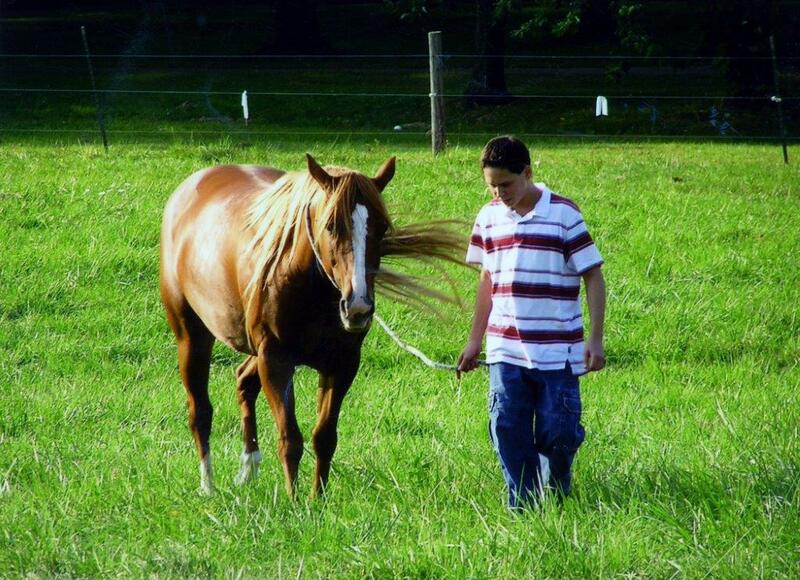 It so happened that our son loved horses, especially Mustangs and through his teen years, we had used his love for horses as a way to hold onto him, to give him something constructive to do with family and to build his self-esteem. To raise his spirits, we traveled one summer to northeastern Wyoming to visit a remote ranch where Ben’s favorite mare had family roots. I cannot exaggerate how remote, quiet and modest this wonderful place was. The gentle, humble, quiet family who lived there were third or fourth generation ranchers, whose forefathers had homesteaded the ranch after the Civil War and a couple of the original shacks that served those homesteaders still stood. My son would eventually live in one of them. Some months after we left that little slice of heaven in Wyoming, as the crisis grew unbearable at home; I picked up the phone and called the ranch family to discuss our situation and raise an idea. Did they need help on the ranch? Would they be interested in hosting my son for the coming summer; maybe for longer? Did they understand that he faced serious challenges? Could they help him get in front of a doctor, if needed? So, the day after he completed his junior year, I packed my son, some clothes and a couple of sleeping bags in our SUV and we drove 1000 miles west, leaving behind a panicky family, worried sick about the great experiment just beginning. Believe me, the plan was controversial! A few days later, as I drove away from the ranch that would become our son’s temporary home, and watched him in the rear view mirror, I could only pray it would work. Our son dropped out of high school and lived for the next 18 months in a one-room shack with no running water, a space heater and a Franklin stove to protect him from the northern Wyoming winter. During his 18-month stay out west, my son learned to gentle wild Mustang colts, he worked cattle, climbed windmills and grew stronger. Later, he would impress a visiting group of horse buyers when he rode out a bucking bronc in front of the crowd. Days later, as he related the story to me, he beamed with self-confidence. And, you know what? He got better. Eventually, he grew homesick and asked to come home and finish high school. Now, he talked of college. He came home, attended a residential technical school where he earned his high school diploma far from home, among many tough kids from across the country. For the time he was there, and for some time thereafter, we believe the ranch experience prolonged, and improved his life, and the separation saved our family intolerable damage. It gave Ben much needed self-confidence and time to mature. Years later, at the age of 24, Ben died of an accidental overdose. The pressures associated with his disease finally overcame him. But, he enjoyed many fine experiences and enjoyed a longer, richer life because of his experience on that ranch. Ben's Ranch Foundation is designed to do just that.